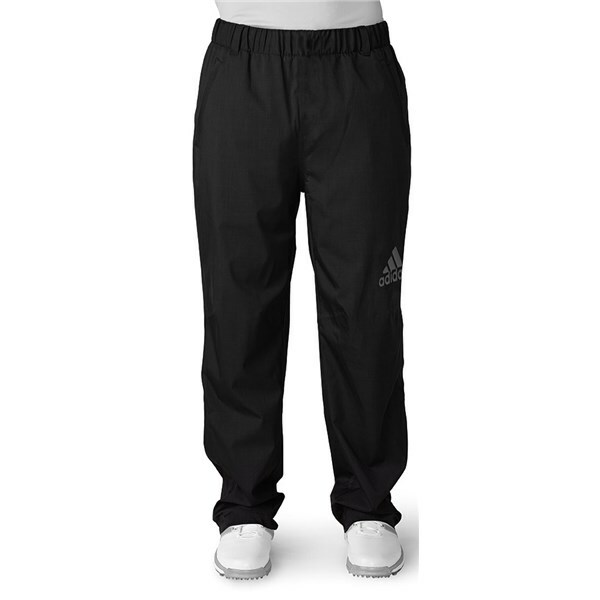 The adidas climaproof Heathered Trousers have been designed to be incredible comfortable to wear whilst giving you the best possible protection in the bad weather. A lightweight, fully seam-sealed design that features the brilliant adidas climaproof technology will ensure the trousers are waterproof, windproof and highly breathable for the best possible performance in all weather conditions. Whatever the temperature outside, if it is raining sling the trousers on. You will stay dry and any excess moisture will quickly be wicked away, leaving you able to perform your best in the rain. 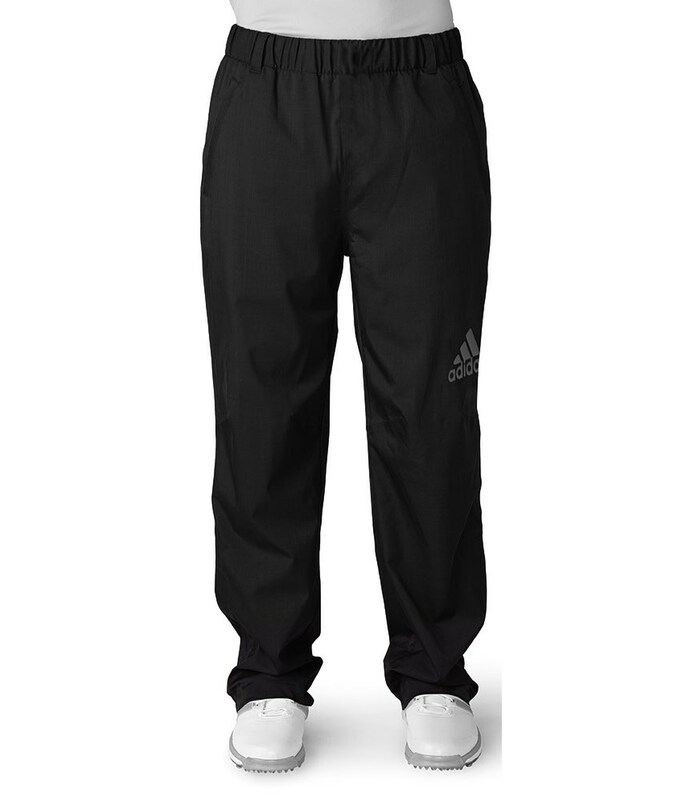 adidas have used an articulated knee design to enhance comfort, mobility and movement. An inner draw cord will allow you to tailor the fit. A waterproof back pocket is the ideal location for your scorecard and the hand pockets are a great place to keep your hands and ball dry while waiting for your opponent to play his shot on the green. climaproof® woven material provides maximum weather protection. adidas® Badge of Sport logo on left thigh. Articulated knees for improved fit.